George Muller | Something should go here, maybe later. As part of tonight’s update on my previous Destiny post, I had a look a their website. As one would expect, there’s plenty of donation buttons and Brian appears promoting his book. Modest eh! Outside of Christ himself, I would nominate George Muller, a man who spent his life proving that God listens to prayer for our daily needs. His orphanages cared for thousands of orphans (some of who are alive today – I know someone who met one of them), feeding them, clothing them and housing them. In all his life, he did not once even hint at a public appeal – rather temporal needs were always bought to God. 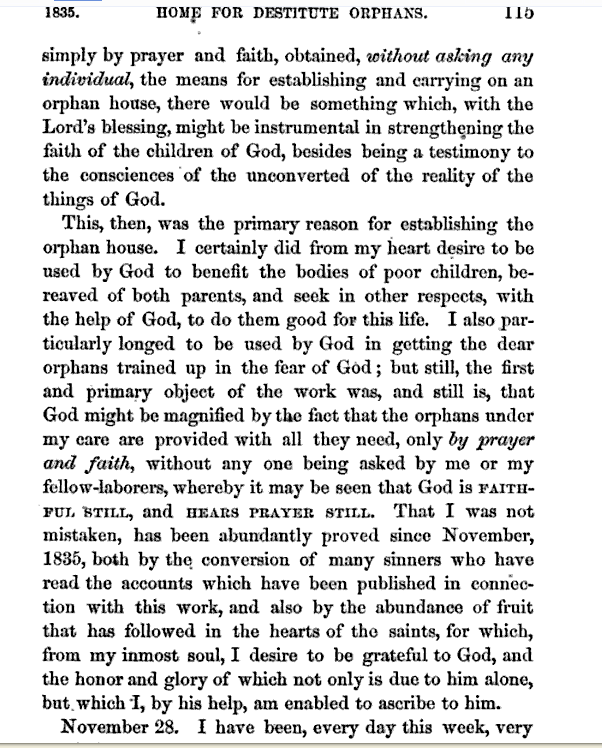 It would be wrong to think that the answers to prayer that George Müller experienced were all easy and quick – his diaries show that his experience was often far from that. Life was tough at times, but he learned to be persistent in and committed to the challenging task that God set him – that of demonstrating the faithfulness of God in prayer, often in the most miraculous of circumstances. His diaries provide documentary evidence of 50,000 answers to prayer, of which 30,000 had been answered in 24 hours or less! Here was a man who, in want, knew the challenge of waiting and being persistent in prayer; a man who was so thankful that he saw the faithfulness of God in answering those prayers, many of which were miraculous, timely and fairly immediate. It is not surprising that his story spans not just the ages but also the nations, for many seek the intimacy that Müller enjoyed with his God. Rather than inventing new ways of raising money, he simply asked God for what he needed. Rather than building up his wealth, he placed his needs before his maker. His work continues today, and their web site doesn’t have a single donation button. 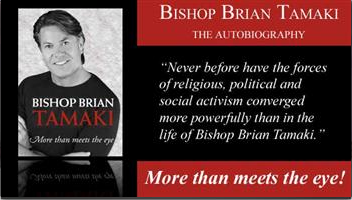 For those who might be interested, the above book is available online. It’s written by the man himself so is a bit “ye ole english” but still quite readable. Much better than trying to appreciate the life of the man from my scribblings! For those interested in the life of George Muller (as per my previous post), there is more at mullers.org. For those who believe that such work could not possibly happen today, with so many charitable institutions around conducting active appeals… did I forget to mention that it still does? As with the children and family care work, the Directors and Trustees had been praying for some time about helping to meet the needs of the elderly. This became a reality with the opening of the first Home, known as Tilsley House in Weston-super-Mare. The Home is registered as an elderly persons residential care home for 24 persons. In many respects Tilsley House is ideally suited for the purpose of caring for the elderly. The rooms are well appointed and furnished, although residents are encouraged to bring items of their own furniture, if they prefer. The surrounding area is flat, with only two or three minutes walk to the promenade and beach. Directly apposite is the beautiful Clarence Park. Tilsley House is set within its own secluded garden. Shops and places of worship are within easy reach. Residents are encouraged to play an active part should they be so inclined, with opportunity to help tend the garden, get involved in craft activities and take part in acts of worship at appropriate times. Every effort is made for residents to live a secure and dignified life in their later years. Oh, and one more thing: all you athiests feel free to point out charities who have raised hundreds of millions of dollars, meeting all obgliations over decades, without asking for money. In fact, how many charities can claim the first two? Given that UK atheists have gone out and bought themselves a campaign, it’s high time I put this post together.